Saudi women have won, after so long, the basic right to drive. This is an amazing victory, but it is also a litmus test for the pacing of equality. It is a small step up a steep mountain of which I may never get to see the summit. Has progress always been so slow? It is hard enough to be fighting for the rights of Islam to just exist in the Western world, but it is especially difficult to exist at the crossroads of Muslim and woman. Many are quick to say that my religion is the problem. 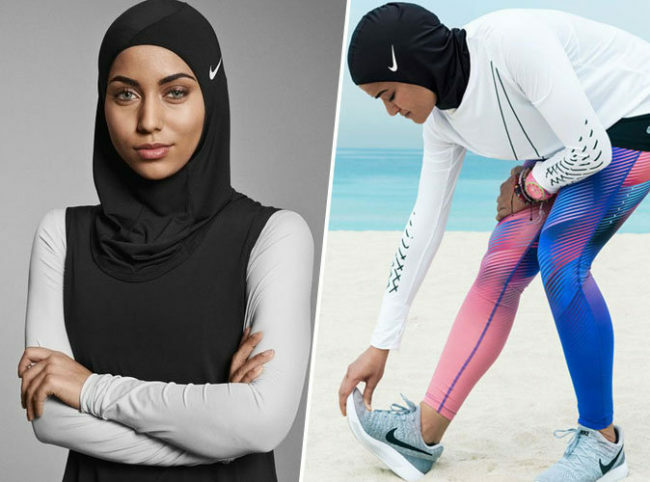 But to reduce the issues of our society to something as nuanced and as intricate as an entire religion is a disservice to the struggle Muslim women face. Let’s not redirect the blame. It is instead a problem of structure, of living in a world that does not ask for your genuine self to be celebrated. There is an equal-part tide that pulls us in what Western society deems diametrically opposed directions. Especially true in America, we are told the liberties of feminism, of choice, and of a right to education aren’t compatible with tenets that have existed outside the US for generations. As though a hijab means I am forced to wear one. As though to act with modesty is not our own decision. 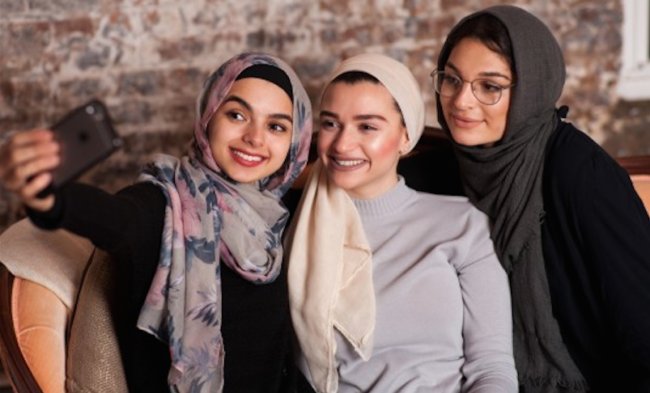 In truth, we are our familial culture and we embody our immediate communities; though Muslim girls are never afforded their due agency for balancing the weight and intersection of these things. And there are times I feel things improve in my hometown and across the country: a clerk pays me some bright kindness I am seldom offered, a conversation with a stranger runs its course without intrusive questions of my ethnicity or religion. But most times it isn’t like this. I know the face of vitriol as it passes me on the street. It is painfully apparent how I may never be acknowledged as American, despite knowing no other home. It is also clear to see how willing others are to further the distance between us in the most hateful and banal ways. Yet here there is a resilience: I do not want to paint a bleak future. Things change; progress ebbs but that does not mean it will recede into a permanent darkness. I see the will in my community to fight to uphold both who we are and what we’d like to stand for. We’ve come so far and we won’t go so quietly as we are expected to. I guess it’s an issue of force, isn’t it? Autonomy certainly isn’t ours to hold and possess because we are always forced into something. Forced to act this way, forced to wear that. No one notices that I have my own two hands and they are composed of choice. Yet that is always up for debate among those who don’t know any better. 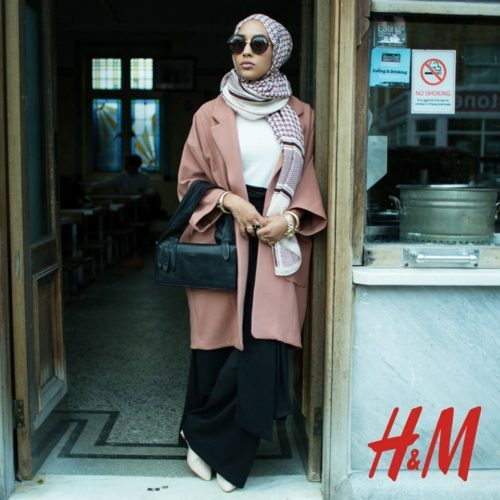 Is that hijab making you hot? You don’t have to wear it. You’re in America. Oh, I know where I am. And I am smart enough to recognize where I must go. I will go there wearing whatever I want to (in the baking sun and in the pouring rain). I see the sisters I’ll never know condemned to prison for protesting in favor of this basic right of choice. I’m hyper aware of the gifts of education, of knowing. I’ve been afforded the luxury of retrospective lenses: of reinterpreting, of understanding the Muslim woman’s place in American society. Many times it isn’t a beautiful picture, as I always wanted it to be. There have been moments I’ve been disappointed with the direction of America, and the disposition of people I thought I affectionately trusted. Was knowing ever so problematic? Where must we go from here? I only have my own answers, and I know who I must keep close; I know that the women I fight alongside are the strongest and bravest forces to exist in my world. Driving is a small thing. I can’t imagine getting behind the wheel for the first time, after not being trusted to do so for a lifetime. There is so much progress before us, so much left to accomplish. I know we will get there. I can feel it. Can you? They are a grassroots, human rights organization that embodies and advocates for social justice, for women’s rights, LGBTQI inclusion, freedom of expression and freedom of and from belief. WISE promotes Muslim women leaders who are at the forefront of addressing pressing challenges facing their community. They create long lasting social change by amplifying women’s voices at all levels of political, economic, religious, and social discourse. They build and share knowledge that supports equality and justice in the Muslim family using a holistic approach that combines Islamic principles and jurisprudence, internationational human rights standards, national laws and constitutional guarantees of equality and non-discrimination, and the lived realities of women and men. FactSumo.com – Helping people realize their full potential.